Away from Singapore’s bustling city centre and its hot restaurants lies a scattered bunch of underrated eateries. They may not be the most accessible, but that doesn’t stop us from making our way (all the across the country sometimes!) 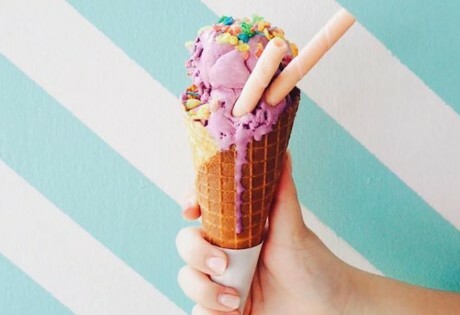 to these unique dining places for some great chow. So in a spanking new, fire-engine-red Audi A1 Sportback, we ventured out to the city’s hidden nooks and crannies to find out if they are worth the extra mile. The result is this delicious, ‘secret’ list that is so worth revving up your engine for. Time to hit the road! 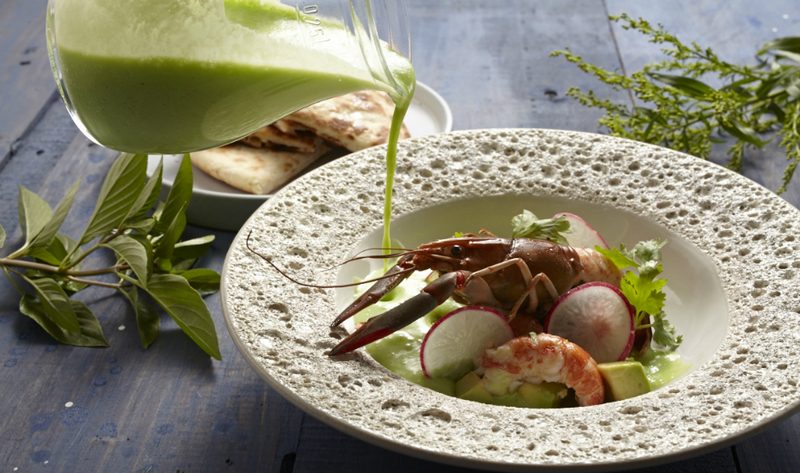 No-frills seafood grill, alfresco style – that’s what you can expect at The Naked Finn. Pair the quality seafood (lobster rolls and hae mee tng with wild-caught prawns, anyone?) with their bespoke cocktail selection (prepared with white spirits) for the ultimate indulgence. The Naked Finn, Block 39 Malan Road, Gillman Barracks, Singapore 109442, p. 6694 0807. Open Tue-Thu 12pm-3pm & 6pm-10pm; Fri-Sat 12pm-3pm & 6pm-10.30pm. One of the many restaurants Eastsiders get to boast about is this cosy East Coast establishment that has been serving up North Indian, South Indian and fusion dishes for over a decade. We recommend the steaming pots of Mysore mutton and the crowd-pleasing butter chicken that go perfectly well with the fluffy garlic naans. Dessert often takes a slightly unconventional twist as restaurateur, Dershini Winodan, is fearless in dreaming up exciting new takes on Indian classics like kulfi. Chat Masala, 158 Upper East Coast Rd, Singapore 455254. p. 6876 0570. Open daily 12pm-1.45pm, 6.30pm-9.45pm. Hit the shores for a balmy beach party worthy of the most devout sun worshippers. The plush daybeds, great grub, and glass-walled pool makes it a perfect spot to watch the sun sink and rise into tomorrow. But before you sprawl out by the infinity pool for the afternoon, dig into their drool-worthy array of food offerings. Fancy a beachside barbie? Choose between options like their USDA Angus Prime Ribeye or TBC Seafood Platter of oysters, prawns, blue crab and a whole Maine lobster. Their weekly beach parties helmed by local and international house/disco DJs also gives us the dancey fix we need. Tanjong Beach Club, 120 Tanjong Beach Walk, Sentosa Island, Singapore 098942, p. 9750 5323. Open Tue-Fri 11am-10pm; Sat-Sun 10am-11pm. Closed on Mon. 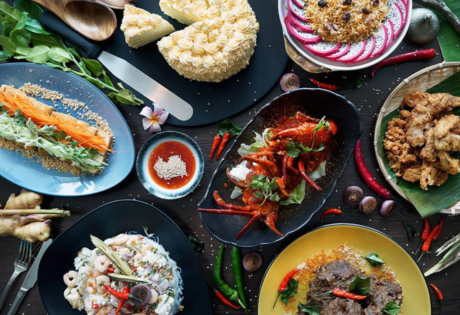 Choose from over 20 types of seafood (think Alaskan king crabs, blue lobsters, geoducks and the like) cooked various ways, from the traditional (Chinese wine) to the modern (egg white with truffle oil). Also, don’t miss the side of crispy brinjal with salted egg yolk – this sinful creation is definitely a must-try. And to wash it all down, order a round or two of their delish homemade sangria cocktails. The Catch Seafood Restaurant & Bar, #01-54/56, Block 106, Clementi Street 12, Singapore 120106, p. 6546 2155. Open daily 12pm-2.30pm & 5pm-11pm. 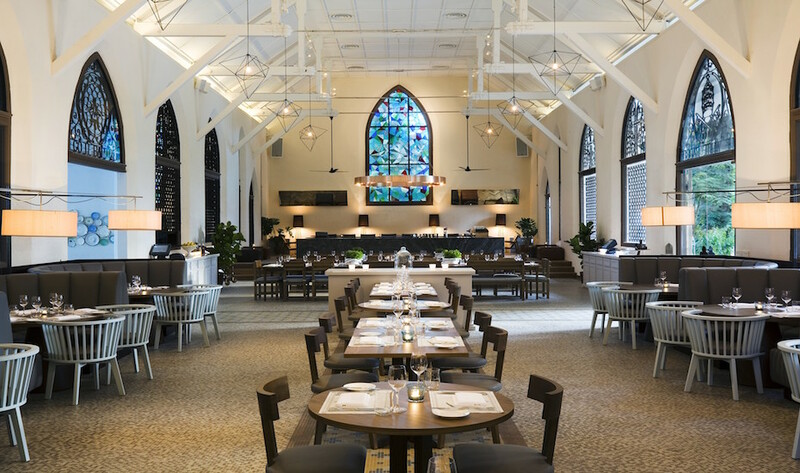 Taking over the now defunct Au Jardin by the Les Amis Group, Corner House is set amongst the lush greenery of the Botanic Gardens and pays tribute to EJH Corner, honouring the man largely responsible for Singapore’s “Green City” status. 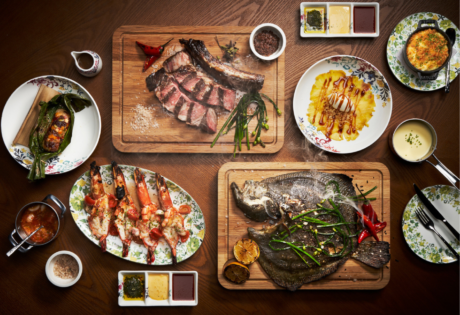 Serving up mostly French-inspired dishes by local chef Jason Tan – the originator of Gastro-Botanica cuisine – Corner House features a menu with dishes such as Patagonian toothfish and Iberico pork “Secreto”. Corner House, EJH Corner House, Singapore Botanic Gardens, 1 Cluny Road, Nassim Gate 259569. Open Tue-Sat, 12pm-3pm and 6.30pm-11pm. This longstanding Western eating spot in the Upper Bukit Timah area serves up the heartiest creations, from perfectly cooked steaks to fiery Buffalo wings. It’s really popular with families too, so round up the gang and drop by for dinner (or even for a sesh of Sunday brunch!). Buckaroo BBQ & Grill Restaurant, 921 Upper Bukit Timah Road, Singapore 678202, p. 6754 2621. Open Wed-Mon 4pm-10pm. Closed on Tue. Situated in Punggol Park, Wild Oats is one laid-back hangout that’s perfect for you and your drinking buddies. The alcohol deals change every month (wine, Hibiki whisky, Crabbie’s Ginger Beer – the list is extensive), and food on the menu’s kept straightforward – think nosh like creamy mushroom pasta, luncheon meat fries, and lamb chops. 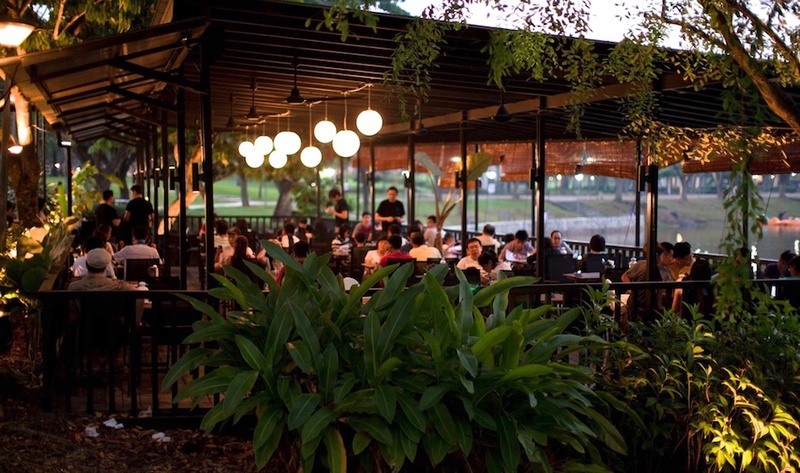 Wild Oats, Punggol Park, 97 Hougang Avenue 8, Singapore 538792, p. 6858 2087. Open Mon-Thu 4pm-12am; Fri 4pm-1am; Sat 4pm-2am; Sun 4pm-12am. There’s no menu in this traditional Teochew restaurant, so you have to take our word for it. Must-tries here are the oyster egg, steamed pomfret, chilli crayfish, and cold crabs. If you have room for dessert, try the orh nee (yam paste). Warning: it’s expensive, particularly if you’re going all out on the seafood, but you’re really paying for the freshness, quality, and excellent execution in cooking. Ah Orh Seafood Restaurant, 115 Jalan Bukit Merah #01-1627, Singapore 160115, p. 6275 7575. Open 11am-2pm, 530pm-9pm daily. At this cosy little spot, you’ll find tonnes of vintage knick-knacks and quirky decor on display. Food-wise, expect honest comfort food, including burgers and pizzas, as well as local favourites like curry chicken and nasi lemak. The Coastal Settlement, 200 Netheravon Road, Singapore 508529, p. 6475 0200. Open Tue-Sun 10.30am-12am. Closed on Mon. Nestled in the quiet Braddell Heights neighbourhood, Wimbly Lu is where you’ll be treated with heavenly artisan chocolates and chocolate-infused desserts. However, its waffles are just as fab in our opinion! Slide your knife through the crisp exterior of the pastry to reveal the light and fluffy insides. We love the classic sticky date pudding and the richly flavoured root beer brownie! Wimbly Lu, 15-2 Jalan Riang, Singapore 358987, p. 62891489. Open Tue-Thu 12.30pm-10.30pm; Fri 12.30pm-11pm; Sat 9am-11pm; Sun 9am-10.30pm. Sitting on 35,000 square feet of lush greenery that was once a golf driving range, Open Farm Community boasts a sprawling garden filled with herb and vegetable produce. This super exciting, ingenious concept features a seasonal menu (curated by chef Ryan Clift from Tippling Club), which changes according to the local harvest. Open Farm Community, 130E Minden Road, Singapore 248819, p. 6471 0306. Open Mon-Fri 12pm-3pm, 6pm-10pm, Sat-Sun 11am-10pm. 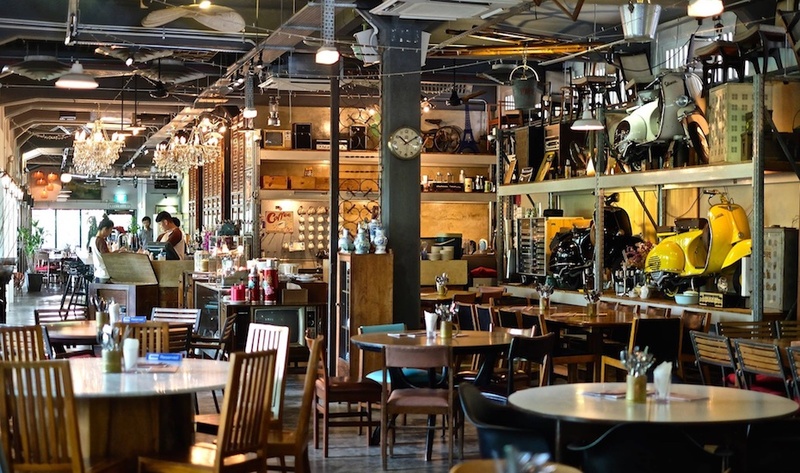 One of the much-raved-about cafes in the West Coast area, W39 specialises in European-inspired dishes. Tuck into favourites like the Chef’s special Assam fish and turmeric rice; and prime ribeye steak with sauteed mushrooms and sunny side-up egg. W39 Bistro & Bakery, 39 Jalan Mas Puteh, Singapore 128637, p. 9646 5372. Open Tue-Fri 11am-10pm; Sat-Sun 9am-10.30pm. Closed on Mon. Get away from the hustle and bustle of the city and head to Riders Cafe (which is, in our opinion, the best thing you can get if you’re thinking of a short ‘country’-style escape). Tucked away in the lush greenery of Bukit Timah Saddle Club (yes, there are adorable horsies all around), this peaceful spot is great for any meal of the day. 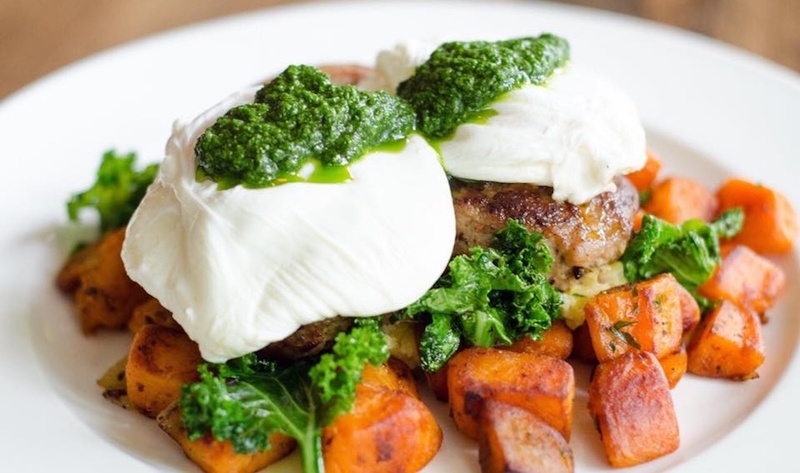 Try the Blackstone Benedict for brunch, the rosemary flatbreads (comes with sundried tomato hummus) for lunch, or the pan-fried snapper with miso-creamed kale if you’re here for dinner. 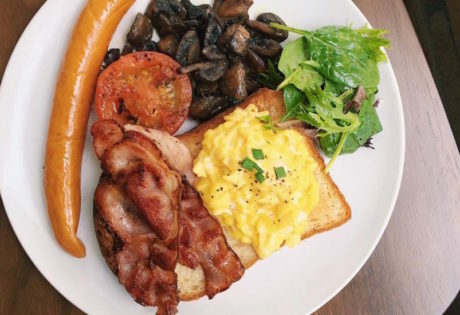 Riders Cafe, 51 Fairways Drive, Singapore 286965, p. 6466 9819. Open Sun-Thu 8am-9pm; Fri & Sat 8am-10pm. Closed on Mon. Why Hola there! UNA at One Rochester provides a robust menu filled with flavourful Spanish tapas, paellas and parilla (grill). Must-tries include Jamon Ibérico bellota cold tapas, grilled clams with sherry hot tapas, black rice paella and suckling pig parilla. Here, you’ll also find a full-fledged bar that’s stacked with wines, premium spirits, mixers and an assortment of artisanal cocktails carefully curated for UNA by Proof & Co. What’s more? UNA also Asia’s first Tio Pepe Sherry Bar, featuring a collection of the world’s best Sherries from top Spanish wine producer – Bodegas Gonzalez Byass. UNA, 1 Rochester Park, Singapore 139212, p. 6773 0070/6773 0060. Open Mon-Thu 6pm-11pm; Fri 12pm-2pm & 6pm-11pm; Sat 6pm-11pm. Closed on Sun. Step inside this beautifully restored old chapel in Dempsey and you’ll be blown away by the grandeur of the place. Paper white walls, sleek furniture, high ceilings – everything about The White Rabbit is pristine. 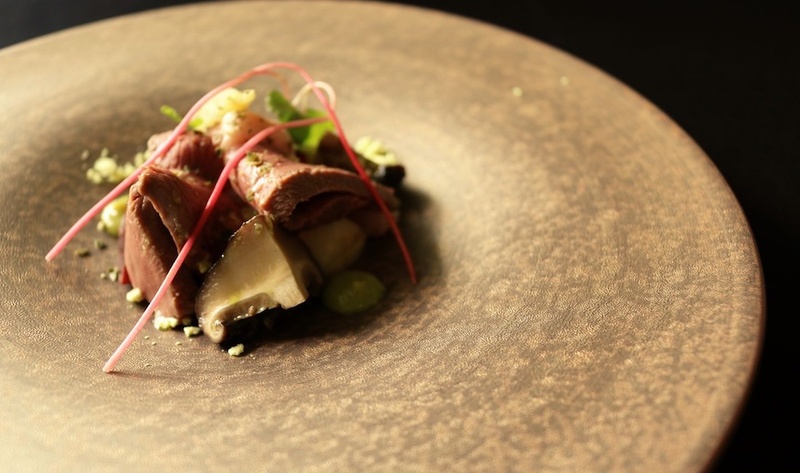 On the menu, Modern European plates take centre stage. Order the 36-hour Brandt shortribs for your main course and opt for the baked Alaska for dessert. The White Rabbit, 39C Harding Road, Singapore 249541, p. 6473 9965. Open Tue-Fri 12pm-2.30pm & 6.30pm-10.30pm; Sat-Sun 10.30am-3pm & 6.30pm-10.30pm. Closed on Mon. This modern bistro is the perfect place to unwind while savouring an array of palatable contemporary international dishes. Since revamping its menus, Nosh now serves delectable cuisine such as duck confit pappardelle, shrimp laksa tagliatelle, and lots more. Nosh also has a bar stocked with a great selection of wine, premium spirits and delicious curated cocktails, so there’s plenty to keep you tipsy! Nosh, 9 Rochester Park, Singapore 139220, p. 69755 5015. Open Tue-Thu 6pm-10.30pm; Fri 6pm-11pm; Sat 10.30am-3pm & 6pm-11pm; Sun 10.30am-3pm & 6pm-10.30pm. 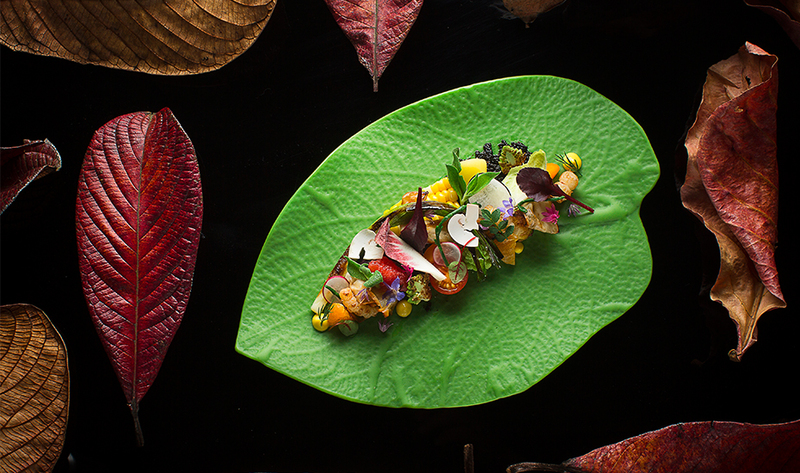 Nestled in Fort Canning’s lush greenery, this luxe Japanese-French fusion restaurant might just be your answer for a secret garden cocktail reception or private wedding party in a dedicated bridal room. Helmed by Executive Chef Keisuke Matsumoto, you can expect innovative fusion gastronomy like challandais duck with Lewin spices, honey and sansho, which can be paired with international wines (including French and Japanese) and sakes. Lewin Terrace, 21 Lewin Terrace, Singapore 179290, p. 6333 9905. Open Mon 6.30pm-11pm; Tues-Sat 12pm-2.30pm & 6.30pm-11pm. Closed on Sun. For over 20 years, this homely restaurant in Seletar has been dishing out Szechuan and Hunan cuisine… the twist being that the husband-and-wife owners picked up their craft from America. Some of the more popular American-influenced dishes include the orange crispy beef and General Tso’s chicken. And don’t miss out on desserts either! Trust me when we say the cendol here is to kill for. Seletar Hills Restaurant, 16 Jalan Selaseh, Singapore 808440. p. 6483 0348. Open daily 11.30am-2.30pm, 5.30pm-10pm. 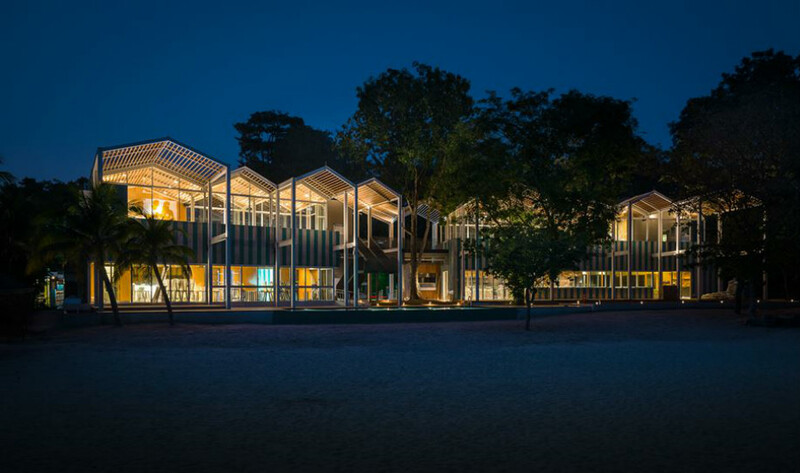 The all-new Sentosa branch of award-winning FOC is now open on Sentosa’s Palawan Beach. 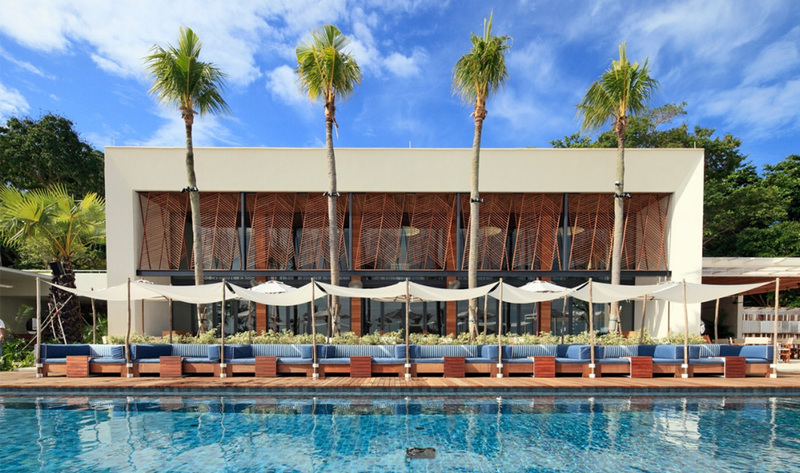 The new space boasts an airy beachfront space with bright interiors, panoramic views and a mix of indoor and outdoor spaces, including a pool deck and beachside sunbeds. The menu is no runner-up either, with satiating, contemporary Mediterranean dishes as the main star. FOC Sentosa, 110 Tanjong Beach Walk, Singapore 098943, p. 6100 1102. Made for lazy days, this stylish alfresco dining spot offers a tantalising menu that features flavours from the Mediterranean – from creative starters like tuna tartare and grilled slipper lobster salad, to a selection of delectable signature mains like foie gras and homemade tagliatelle, and grilled wagyu Beef Burger (our fave). 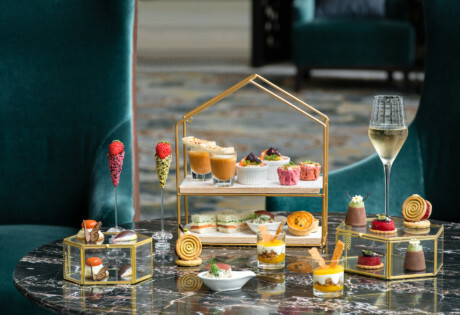 Stroll in on Sunday to enjoy its Lush Sundays brunch menu and unwind over free-flow Champagne (Louis Roederer Premiere Brut Reims) or prosecco (Tenuta Setten DOC Treviso) with any purchase of the “Breakfast Delights” or “The Substantials”. Da Paolo BistroBar, 3 Rochester Park, Singapore 139214, p. 6774 5537. Open Mon-Sat 11am- 10.30pm; Sunday 11 am to 9.30 pm. Sunday brunch served from 11am-4.30pm. Previously a canteen for the British Army back in 1953, Colbar serves a wide selection of British beer and comforting Hainanese-Western grub. The selling point of this charming bar is its atmosphere. During their relocation, the owners ensured everything – including the clay roof tin and timbre walls – were carefully redesigned to mirror the original bar. From vintage weighing machines to historic photos of the Colbar Football Club, Colbar delivers a slice of old Singapore. ColBar, 9A Whitchurch Road, Singapore 138839, p. 6779 4859. Editor’s note: Naturally, the chance to cruise around Singapore in an Audi A1 Sportback – one of the world’s best looking cars – had us pulling up at even more fashionable restaurants across town, so keep an eye out for even more edgy dining guides – plus a look behind the scenes/wheel! The A1 Sportback’s smooth steering, fab sound system, amazing fuel efficiency and petite-yet-sleek size (parking is a breeze!) makes zipping around the city a real joy. Check out this post for a look behind the scenes/wheel and plenty of selfies! This article is sponsored by Audi. For more information on the seriously cool A1 Sportback, visit Audi’s website. Keep up to date with the latest in food news with What’s Cooking every week, or our guide to Hot New Tables for May. Zakaria is an extroverted introvert who absolutely enjoys nothing more than lazing on bed watching countless YouTube videos. You might also spot him at some artsy-fartsy gigs in town or food-hunting with his forever hungry friends around Singapore.